arto, thank you for making this difficult subject matter understandable to the average person. I am no longer shocked at how sick and twisted this industry is …. Below is some interesting links for further research. blood filter info….the two paragraphs i really found interesting, i added highlighted text for emphasis. Environmental safety was a Pall concern before it was fashionable. Product lines were added in the ‘60s and ‘70s to service the electronics, power generation, food processing and pharmaceutical industries. As nuclear energy gained ground during the ‘60s and ‘70s numerous applications for a variety of Pall filters appeared. Once again, through the company’s constant readiness to recognize industrial needs, Pall developed a sintered metal filter to help in the cleanup of the crippled Three Mile Island nuclear reactor. The world recognizes Pall Corporation’s success. In 1990, Pall Corporation joined the ranks of the Fortune 500. Representation and sales of Pall Biomedical Products Company is worldwide including Canada, Europe, South America, Asia and the Pacific Rim. In 1991, Dr. Pall was awarded the National Medal of Technology by President Bush for patenting and commercializing over 100 filtration products that have contributed significantly to safety in flight, upgrading of industrial processes and improved safety of blood transfusions. The National Medal of Technology honors individuals or companies that have made exceptional contributions to the well-being of the nation through the development or application of technology. Dr. Pall’s contributions have indeed pressed the limits of filtration technology and have spanned five decades. Thank you very much. It is great to note that all the information that I'm trying to make these videos go to waste. I am also grateful for you posting the links for information. I studied them in detail. Finland is virtually at war. Earth is being brought numerous 100% of Russian nuclear power plants / nuclear weapon factories. 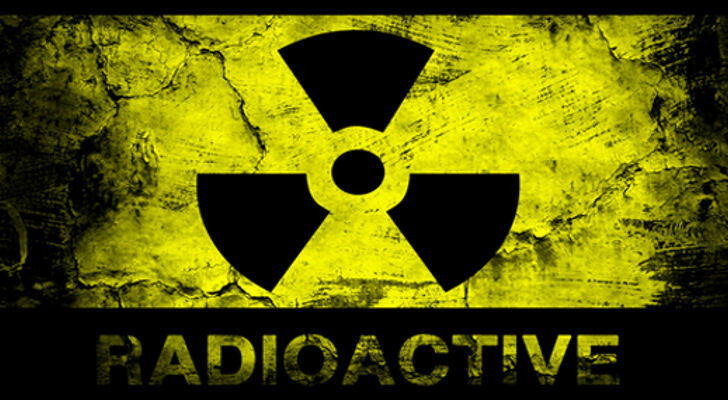 Nuclear waste to large stocks. People have the right to speak out for me already nearly full. I just heard that the army, police and ydinteolliuus plan to the entire online world discontinuation of Finland. I'll try to put these videos now almost every week. That this huge amount of data which I have nuclear power. Not to disappear completely by the IAEA criminals. Put the recovery and acquaintances cycle. Similar data are not available anywhere throughout the world. OL-3 now in protective automation of key problems are still ongoing and persistent difficulties. Since the act of Siemens company does not invest any more at all of the past nuclear power. And above all, because none of the existing technology can not guarantee that the unstable burn-up too BIG OL-3 reactor safe processing! ..
TVO has also since 1990 come to replace the OL-1 and OL-2 plants the essential core of security devices, and conversions. Although the project has burned tens of millions, the time passed more than 25v years. Still in these bodies should not have been able to design a functional replacement computer automation! Again next summer, Siemens, therefore, to provide millions of automation devices, containing renewals OL-1 jaOL-2 plants. Loviisa is the age of the problems and the same for the core security protection Automation. Fortum has built up a new building. There to accommodate the new nuclear power plants for automatic protection. Massive equipment was brought to the building for more than 5 years ago. The project was a complete failure, and Siemens left the project. Since the Loviisa over age limit in the unstable MOX fuel meets the security automation DOES NOT to be able to guarantee !. Over 5 years rotten protective devices are going to be scrapped. Fortum and now desperately trying to enter the main nuclear power plants protection automation rols Royce! In summary. More than 25 years of nuclear companies have been trying to modify the old U-235 combustion plant "withstand" the MOX / Pu-239 fuel. Billions of desperate "attempt at" have led the world in 54 Japanese reactor disaster. And to this day has lost at least -116 in the reactor! The reason always the same. Virgin uranium combustion of attempts have been made to move to a single remaining Pu-239 combustion, without success! IAEA anticipates that nuclear will lose at least more than 200 reactors. Which has not been able to withstand modify the behavior a dangerous MOX fuel the limit! OL-3 laitoksen ongelmat keskeisessä suojaavassa automatiikassa ovat yhä kesken ja vaikeudet jatkuvat. Koska sitä toimittava Siemens yhtiö ei investoi enää lainkaan menneisyyden ydinvoimaan. Ja ennen kaikkea, koska mikään olemassa oleva tekniikka EI kykene takaamaan epävakaan palaman liian ISON OL-3 reaktorin turvallista prosessointia!.. TVO on myös vuodesta 1990 asti koittanut korvata OL-1 ja OL-2 laitoksien keskeiset ydinturvan laitteitten muuttamiset. Vaikka hanke on polttanut kymmenin miljoonin, aikaa kulunut yli 25v vuotta. YHÄ edelleen myös näihinkään laitoksiin EI ole kyetty suunnittelemaan toimivaa korvaavaa tietokoneitten automaatiota! Jälleen ensi kesänä Siemens siis toimittaa miljoonien automatiikkaa sisältäviä laitteitten uusimisia OL-1 jaOL-2 laitoksiin. Loviisassa on niin ikää ylittämättömiä ongelmia samassa keskeisimmässä ydinturvan suojan automatioissa. Fortum on rakentanut jopa uuden rakennuksen. Mahduttaakseen sinne uuden ydinvoimaloitten suoja-automatiikan. Massiivisia laitteistoja rakennukseen tuotiin JO yli 5 vuotta sitten. Hanke epäonnistui täysin ja Siemens poistui hankkeesta. Koska Loviisan yli- ikäisiin epävakaan MOX- poltto limitin täyttävää suojauksen automatiikkaa EI MYÖSKÄÄN niihin kyetä takaamaan!. Yli 5 vuotta lahonneet suojalaitteet ovatkin menossa romutettavaksi. ja nyt Fortum yrittää epätoivoisesti syöttää keskeisintä ydinvoimaloitten suojan automatiikkaa Rols Roycelle! Yhteenvetona. Yli 25 vuotta ydinyhtiöt ovat koittaneet modifioida vanhoja U-235 polton laitoksiaan "kestämään" MOX/Pu-239 polttoaineita. Miljardien epätoivoiset "yritelmät" ovat johtaneet maailmalla jo 54 Japanin reaktorin tuhoon. Ja tähän päivään on menetetty ainakin -116 REAKTORIA! Syynä aina sama. Neitseellisen uraanin poltosta on YRITETTY siirtyä ainoaan jäljellä olevaan Pu-239 polttoon, ONNISTUMATTA! IAEA ennakoikin, että ydinala tulee menettämään AINAKIN yli 200 reaktoria. Joita EI ole kyetty modifioimaan kestämää vaarallisesti käyttäytyvälle MOX- poltto limitti! Jos sivusto ei lataudu sinulle, oikeus klikkaa sivulla ja valitse "play"
If the site doesn't load for you, right click on the page and then click "play"
How do I free to pay for it? Very simple and basic reference says more than a thousand words. The old hydroelectric power station on the price of energy is calculated 1-2snt / kWh between. As a know it all. Free fuel power plant to rotate the old prices back to the producing power plant the price is incredibly cheap. Annual stability of the hydroelectric power station is not the order of 33%. Subjects to be discussed incredibly low. - 1 MW hydroelectric power station on the price 1,5milj. -1MW Wind turbine 1,2milj. - Maintenance Expenses percent hydropower and wind power. - Return on capital repayment term. The hydroelectric plant 5vuotta- wind turbine 5 years. TVO nuclear power plants have been systematically carried out the radiation loss from the erosion of parts, such as changes to the new turbines as often as 7 years! Really expensive. In addition, nuclear power plant, the share of fuel in the order of 30% in operating costs. Also, a thousand-class continuous maintenance costs of the occupation of more than 30%. On another ten miljardinen return of capital payments. TVO has not been able to pay even invested their capital back almost 40 years! The company's core is forced to drive a large osaelintärkeästä convenience will scrap out of the profitability of changes in these costs completely! As we see does not exist any objection to what is already in the Japanese government fell in 2011. Wind power (5snt / kWh) production is 3 times cheaper than nuclear power! Decreased, approaching or ynnää power plants the actual costs way you like. Result: The Old amortized hydropower 2snt / kWh. Old price slain wind 2NT / kWh. Old price slain nuclear uranium 15snt / kWh. Current expensive MOX fuel to increase this in the future price of 2.5 times! Hyvin yksinkertainen perus vertailu kertoo enemmän kuin tuhat sanaa. Vanhan vesivoimalan energian hinta lasketaan 1-2snt/kWh välille. Tämän tietävät kaikki. Ilmaisen polttoaineen voimalan pyörittämän vanhan hintansa takaisin tuottaneen voimalan hinta on uskomattoman halpa. Vesivoimalan vuosittainen pysyvyys ei kuitenkaan ole kuin luokkaa 33%. Asia josta keskustellaan uskomattoman vähän. - 1 MW vesivoimalan hinta 1,5milj. -1MW tuulivoimala 1,2milj. - Huoltokulut prosentteja vesivoimalla ja tuulivoimalla. - Sijoitetun pääoman kuoletusaika. Vesivoimala 5vuotta- Tuulivoimala 5 vuosi. TVO ydinvoimaloissa on systemaattisesti tehtävä säteilyn eroosiossa tuhoutuvien osien, kuten turbiinien vaihdot uusiin niinkin usein kuin 7 vuoden välein! Todella kallista. Lisäksi ydinvoimalan polttoaineen osuus on luokkaa 30% voimalan käyttökuluista. Myös tuhat luokkainen jatkuva huoltomiehitys lisää kuluja yli 30%. Päälle vielä kymmen miljardinen sijoitetun pääoman takaisin maksut. TVO EI ole kyennyt maksamaan EDES sijoitettua pääomaansa takaisin lähes 40 vuodessa! Ydinyhtiön onkin pakon edessä ajaa suuri osaelintärkeästä henkilökunnastaan ulos kannattavuuden romuttuessa näissä kuluissa täysin! Kuten huomaamme ei löydy MITÄÄN vastaväitettä sille, mitä jo Japanin hallitus laski 2011. Tuulivoiman (5snt/kWh) tuotanto ON 3- kertaa halvempaa kuin ydinvoima! Laski, lähestyi tai ynnää voimaloiden todellisia kuluja miten päin vaan. Tulos: Vanha kuoletettu vesivoima 2snt/kWh. Vanha hintansa kuolettanut tuulivoima 2nt/kWh. Vanha hintansa kuolettanut ydinvoima uraanilla 15snt/kWh. Nykyinen kallis MOX polttoaine nostaa tätä jatkossa hintana 2,5 kertaa! Thank this video set Misfrill. Good picture, thank you. Everything about what the nuclear neutron flux in the cause. It would seem to be to your bones and boost your alkaline material, most likely caused by deposits in the Pu-239 ion gas plasma balls. Perhaps this volcano at Sakurajima will become a new tool for examining radiated components being released. Where electricity when standing in nuclear power plants? Now is a 5-Day February. The day started with a very basic routine. TVO informed that this time the frost is so -2C the OL-2 reactor was blown up in the hands. This includes, of course, the fact that the end of nuclear power plants supply links are ALSO tectonics violated during the winter cross. 850MW TVO Pyhärannan Fennoskand-1 immediately after the Fennoskand-2 are species typical of the Olkiluoto litoraani tectonics cutting man-made area of the sea floor. Always the same hymn every winter. GTK / TVO / Posiva when you deny ever having learned anything of the region cables mutilate known tectonics. So TVO / Fingrid cooperation yes make every effort to bring about the problems of our country to the mains. Of course, all crowned by the fact that more than 10 years standing and completely unnecessary pledge lying ALSO familiarly 1600MW OL-3 nuclear power plant. Roughly one can say that the responsibility is AGAIN TVO. Energy input which decays into the hands of as many as grade 5 * 900MW reserves! AND EVERYTHING behind the problem is always one and the same company. TVO any problems otherwise the same day announced it will apply AGAIN staggering 500 000 000 grants subsidies to the people of the bags! At the same time lay off ALL maintenance staff two hundred. In order ONLY 7 years at a time lasting turbines continuous replacements and any other nuclear power maintenance is no longer to be replicated in the future work. Tepco, after all notes UP TVO ripping down. In Japan, almost 5 years NONE of them 54kpl, 0% utilization reactors have not bothered to rotate the generator minute! It is obvious that the world's most volatile producers of energy for nuclear companies hold such after their screens to give mercy, let alone the requested money. But the cold ride and hard to remove, SHOE !. As the nations of the world rise up data controlling the power structures and nuclear power. Reply to the army and the police violence the only part of the way. Indiscriminate violence freedom of expression. English only floated now as high as 1 500 cyber warfare units more FB forums! Nets can destroy the ever-growing criticism of the military forces in the vital core of the maintenance! Just an astronomical figure! But what does nuclear trespasses covering up the tax money would be willing to do? In a world where I have actually performing energy wind power, geothermal, shale gas and stunning solar power plants available to replace the negative energy, the deadly uncertain future of nuclear power. German models with honor. Mistä sähköt kun ydinvoimalat seisoo? Nyt on 5 Päivä helmikuuta. Päivä alkoi ihan perus rutiinilla. TVO ilmoitti, että tällä kertaa pakkasta on sen verran -2C että OL-2 reaktori räjäytettiin käsiin. Tähän kuuluu TIETYSTI mukaan se, että ydinvoimaloitten pääsyöttölinkit on MYÖS tektoniikka silponnut talven ajaksi poikki. 850MW TVO:n Pyhärannan Fennoskand-1 ja heti perään Fennoskand-2 ovat lajityypillisen Olkiluodon litoraanitektoniikan katkomina alueen meren pohjassa. Aina sama virsi joka talvi. GTK/TVO/Posiva kun kieltävät yhä mitään oppimatta edelleen alueen kaapelit silpovat tunnetut tektoniikat. Eli TVO/ Fingrid yhteistyönä tekevät kyllä KAIKKENSA saadakseen aikaan ongelmia maamme sähköverkkoon. Tietenkin kaiken kruunaa se, että yli 10v reporankana ja turhan panttina makaa MYÖS tutusti 1600MW OL-3 ydinvoimala. Karkeasti voidaankin sanoa, että vastuu on TAAS TVO:lla. Jolta energian syötöstä lahoaa käsiin peräti luokkaa 5* 900MW reservit! JA KAIKEN ongelman takana on aina, yksi ja sama firma. TVO Joka ongelmiinsa muuten samana päivänä ilmoitti hakevansa TAAS huikeat 500 000 000 euron tukiaisavustukset kansan pusseista! Samalla lomauttaen KAIKKI huoltohenkilöstönsä kolmatta sataa. Jotta VAIN 7v kerrallaan kestäviä turbiininen jatkuvia vaihtojakaan, ja muitakaan ydinvoimansa huoltoja ei enää saataisi jatkossakaan toimimaan. Tepco sentään panee JOPA TVO toilailuja alemmas. Japanissa liki 5 vuoteen ei YKSIKÄÄN 54kpl, 0% käyttöasteen reaktoreista ole vaivautunut kiertämään generaattoreitaan minuuttiakaan! Onkin päivän selvää, ettei maailman epävakaimmille energian tuottajille ydinyhtiöille pidä tällaisten näyttöjensä jälkeen antamaan armoa, saati pyytämiään RAHOJA. Vaan kylmää kyytiä ja rankasti poistoon, KENKÄÄ!. Koska maailmalla kansat nousevat tietoja kontrolloivia valtarakenteita ja ydinvoimaa vastaan. Vastaa Armeijan ja poliisin väkivalta ainoalla osaamalla tavallaan. Silmittömällä väkivallallaan sananvapautta vastaan. Pelkästään Englanti uittaa nyt peräti 1 500 kybersotayksikköään lisää FB- foorumeihin! Tuhotakseen neteissä alati kasvavan kritiikin armeijalle elintärkeän ydinvoimansa ylläpitoon! Aivan tähtitieteellinen luku! Mutta mitä ei ydinala rikoksiensa peittelyyn olisi valmis verorahoillamme tekemään? Maailmassa kun on ihan OIKEASTIKIN energiaa tekeviä tuulivoimaloita, geotermisiä, liuskekaasuja ja upeita aurinkovoimaloita saatavissa korvaamaan energianegatiivisen, tappavan epävarman ydinvoiman. Saksan mallit kunniaan. Unintelligible, revealing the pinnacle of encrypted information on Finland's current decades emerges from a nuclear bomb projects, up to the millennium gears up! YLE / Pekka flour unusually revealing interview material currently TVO / Posiva / Lakari / Humppila NUCLEAR PROJECTS. Finnish-Swedish joint projects, above all, the Olkiluoto area. Stuxnet has found a yes this something that says essentially the motives, reasons WHY Finland whack ydinhankkeitten the darkest swamps today! Why TEM archives burned, why Finland met the dozens of TVO's nuclear weapons hiring professionals. Why not Olkiluoto accelerating the death of around 10 000V electric fences, missiles and rockets used by professionals in the US nuclear weapons in its regions. You'll also find explanations as to why TVO / Posiva these secrets to conceal shave now hundreds of Asea-trained nuclear professionals from the island out of the jobs emergency panic! .. Specifically, the Finnish Olkiluoto Posiva 430m deep cavity and its unimaginably powerful 1500MW exhaust fan towers. Are PekkaJauhon information, directly developed only one clear Sweden, used for the purpose. Stockholm is ALREADY blown up dozens of weapons plutonium respective dungeons! Sweden is therefore directly transferred nuclear weapon skills TVO / Posiva / Finnish army! KÄSITTÄMÄTTÖMÄN PALJASTAVAA huippuunsa salattua tietoa Suomen nykyisistä vuosikymmeniä kehitellyistä ydinpommin hankkeista, jopa vielä vuosituhannen vaihteisiin asti! YLE/ Pekka Jauho poikkeuksellisen paljastavaa haastattelumateriaalia nykyisin TVO/Posiva/ Lakari/ Humppila YDINASEHANKKEISTA. Suomen ja Ruotsin yhteishankkeista ennen kaikkea Olkiluoto alueelta. Stuxnet on löytänyt kyllä tässä jotain sellaista, joka kertoo OLEELLISIMPIA motiiveja, syitä MIKSI Suomi sekoilee ja sikailee ydinhankkeitten mustimmissa soissaan nykyisin! Miksi TEM- arkistoja poltetaan, miksi Suomi täyttyy kymmenistä TVO:n palkkaamista ydinaseitten ammattilaisista. Miksi Olkiluoto saa kiihtyvästi ympärilleen 10 000V kuoleman sähköaidat, sinkoja ja raketteja käyttävät USA ydinaseammattilaistensa toimialueineen. Löytyy myös selitykset siihen, MIKSI TVO/Posiva näitä salaisuuksiaan peitelläkseen ajattaa nyt satamäärin ASEA- koulutettuja ydinalan ammattilaisiaan saarelta ulos työpaikoistaan hätäpaniikilla!.. Suomeksi sanottuna Olkiluodon Posivan 430m syvä Onkalo ja sen käsittämättömän tehokkaat 1500MW poistoilman puhallintornit. Ovat Pekka Jauhon tietojen mukaan suoraan kehitetty vain yhtä selkeää Ruotsissa käytettyä tarkoitustaan varten. Tukholmassa on JO räjäytetty kymmenissä plutoniumaseita vastaavissa luolastoissa! Ruotsi on siis SUORAAN siirtänyt ydinasetaitonsa TVO/Posiva/ Suomen armeijan käyttöön! > It beta torch tornado may be one of the optimum size for these conditions. When all the time it is pumped more, pops' digester some extra dough "out of the edge of the easiest ... and generated the beads leaves to roll something 'ionized' bus. * 100 km high, 15 kt / a reactor. Diameter of 3.6 km. Always astonishing, but the data can be found in more. I wonder why that 3.6 km of diameter beta torch Institute SPEED 1 second? I found the explanation It is likewise a friend of mine: That Pu-239 plasma power to direct the Olkiluoto nuclear power plant, electric line approximately 100MW of reactive power. Enters the inductive / capacitive to loop directly beta flare. (Nuclear power line loss is 10% off the normal line only -5%). It revolves completely incomprehensible to 36 000 km / h! The speed of rotation must have a revolution / second from one central reason. The physical Pu-239 atoms have a BE of the Earth escape velocity 11.2 km / s in order to access the beta torch to maintain a cyclotron to accelerate along a straight space vacuum energy fields on! When the line is at the cyclotron been open. Space leak down this ion channel hadron cascade protonienergiaa, cosmic black holes "of Uranus forces". . Their energy is an insane speed down when entering our atmosphere opening of the ion channel. The reactor does not heat so much uranium disintegration energies of hadrons as the braking energy! A nuclear power plant is largely FREE ENERGY DEVICE! In the reactor, for example. 3% Energy will be everything in its path energy other way antimatter reactions, which have nothing to do with the degradation of uranium! This single entry to open something more amazing. Nuclear power plant do not even have uranium, but there return to the "ark of the covenant familiar celestial fire," any other substance! So thorium, plutonium, americium, UP hydrogen and helium, the lightest gases such as mergers. But the IAEA decided to implement the device uranium. So that it becomes uncontrolled hazardous only state monopoly of the use of the special! Did you know that, for example. Dreasdrenin became a storm in the 1940s centuries already used this nuclear familiar with all the destruction technology. Power unit ONLY burning buildings, wood, asphalt, and such massive dimensions, but. Nuclear power plant, the energy returns to be successful, therefore, without any of uranium! On the slopes of Mount Etna, already known in this burning everything in its path, "the sky became"! There sky ion channel opens again geothermal ionization. These core gentlemen, therefore, to know exactly that the uranium is not even required! Any ionized fluid channel, in principle, the sky flung to generate nuclear energy in a familiar energy production! . . .
> Sille beetasoihtu tornadolle täytyy olla joku optimikoko noissa olosuhteissa. Kun kokoajan siihen pumpataan lisää, pullahtaa 'keittokattilan taikinasta ylimääräset' ulos helpoimmasta reunasta ... ja synnytetyt pallukat lähtee rullaamaan jotain 'ionisoitua' väylää. * 100km korkea, 15 kilotonnia/ reaktori. Halkaisija 3,6km. Aina vaan ällistyttävämpää dataa löytyy lisää. Ihmettelin MIKSI tuo 3,6km halkaisijaisen beeta soihdun SYKENOPEUS 1 sekunti? Löysin selityksen siihenkin ystävältäni: Tuon Pu-239 plasmavirta ottaa suoraan Olkiluodon ydinvoimalan sähkölinjasta noin 100MW loistehon. Syöttää sen induktiivisella/ kapasitiivisellä silmukalla suoraan beeta soihtuun. (Ydinvoimalinjan häviö on -10% kun normaalin linjan vain -5%). Se pyörii aivan KÄSITTÄMÄTTÖMÄT 36 000km/h nopeudella! Pyörimisnopeuden ON oltava kierros/ sekunti yhdestä keskeisestä syystä. Fyysisillä Pu-239 atomeilla on OLTAVA Maapallon PAKONOPEUS 11,2km/s jotta pääsee beetasoihtua ylläpitävän SYKLOTRONIN kiihdyttämänä pitkin suoraan avaruuden tyhjön energiakenttiin kiinni! Kun linja on tällä syklotronilla saatu auki. Avaruudesta vuotaa alas tätä ionikanavaa pitkin hadron kaskadita, protonienergiaa, mustien aukkojen kosmista "Uranuksen voimia". . Niiden nopeusenergia on MIELETÖN alas tullessaan ilmakehäämme avattua ionikanavaa pitkin. Reaktoria EI lämmitä niinkään uraanin hajoamisen energiat, kuin hadronien JARRUTUSENERGIAT! Ydinvoimala on pitkälti VAPAAENERGIALAITE! Reaktorissa mm. 3% Energiasta tulee kaiken tieltään energiaksi muuttavalla ANTIAINEREAKTIOILLA, joilla ei ole mitään tekemistä uraanin hajoamisella! Tämä yksittäinen tieto avaa jotain hämmästyttävää lisää. Ydinvoimalan EI EDES TARVITSISI OLLA uraania vaan siellä palaa "Liitonarkista tutulla taivaan tulella" mikä tahansa muukin aine! Niin thorium, plutonium, amerikium, JOPA vety ja heliumin kaltaiset kevyetkin kaasut fuusioiden. Mutta IAEA päätti toteuttaa laitteen uraanilla. Jotta siitä tulee hallitsemattoman vaarallinen vain valtioiden erityiseen monopoliseen käyttöön! Tiesitkö, että mm. Dreasdrenin tulimyrsky 1940- luvuilla jo käytti tätä ydinvoimasta tuttua kaiken tuhon tekniikkaa. Käyttövoimanaan VAIN palavat rakennukset, puu , asvaltti ja tällainen massiivisissa mitoissa vaan. Ydinvoimalan energian tuotot onnistuu siis täysin ilman uraaniakin! Etnan rinteillä jo tunnettiin tämä kaiken tieltään polttava "taivaan tuli"! Siellä taivaan ionikanavan aukaisee taas geoterminen ionisaatio. Nämä ydinherrat siis TIETÄÄ TARKKAAN, että URAANIA EI EDES TARVITA! Mikä tahansa ionisoitu ainekanava periaatteessa taivaalle singottuna synnyttää ydinenergiasta tutun energiantuoton! . . . In today's Western Finland 25/02/2015. "TVO's nuclear power plant, the destruction took place in the Count's time!" Although Sweden has gone as much as three nuclear power plants, and such. Finland TVO's nuclear power plant on the capacity of low - 75%. OL-2 and OL-3 shortage of production capacity. So apparently NOBODY does not need nuclear power to the national grid !! How in the world, therefore, in the future. Fennovoima 1200MW and OL-3 1600MW reactors oversupply is not no use in our country! The key question is. How does this apply to all future looming huge unprofitable surplus of nuclear electricity surpluses are to be treated? The problem with this is the fact that electricity consumption has dropped to 7 years in a row. + 5% / y additional requirement is changed LED lamps, direct electricity heat ups change, air and ground heat. Electricity savings at an accelerating pace. Alone, OL-3 increases the start-up of new energy NOT the statutory 39% of the target from -6%. Fennovoima also -5%. Whose crazy ideas these nuclear projects have been made. As a 100% clearly no need for dangerous and expensive nuclear power for Finland in the future does not exist? Nuclear power plant, the poor efficiency due to the radiation forcing low temperatures. What's hotter the steam power plant is heated, the more efficiently generated electricity so as district heating. Coal fired power plants, the steam heats nearly 600 degrees, but the nuclear power plants is satisfactory to 300 ° C, says Aalto University nuclear engineering professor Filip Tuomisto. - High temperature, corrosive water and radiation are a bad combination. There are no materials that could be reliably used to, for example, 60-80 years of the reactor pressure vessel or in the inside of the components. Materials have been developed, but inconclusive success of the work is not. - Nuclear power plants are as mentioned MUST put dangerous polluters and explosive hundreds of miles from the käyttösähköalueistaan. Excessively long lines alone can guarantee only nuclear power in this -10% line transmission losses on! - The nuclear power plant transformers, 40v fuel tautton mandatory post-cooling. Huge channel radiation gas-megawatt plants gapless exhaust fans. Evaluation electronics, transformer losses, lighting, pumps, valves with processing equipment and the like. Once removed from the efficiency of -5%. -95% World nuclear power plants will be 1000MW reactor to fresh water 1800L / s destructive condenser tower. Once lost here too - 5% efficiency. Part II: What is the true reality? Only yltiöoptimisti can not believe this to be the nuclear income even 10% of the shares. Even that is certainly true. Do the math yourself malmista- uranium benefit from this relationship. OL-1 870MW / y of the rotating inside the reactor of the charge will remain pure U-235 content of fuel 3 000kg. This material is produced while rotating the 3 000MW isotope refineries in the year. To obtain and only 55kg / y, this purified U-235! 3 000kg / 55kg / y = 55 years of that production. - Actual ENERGY negativity. 30 000MW / 870MW = 350-fold! !! Arto, what do you think these purple streaks are? // mitä luulet nämä violetti raitoja? Purple/blue is the color of ionisation. Pink and green is the color of the ionisation of oxygen again. It is clear that the ionized gas to the Pu-239 channel radiation in Fukushima nuclear plant and the country is just inside. A wonderful discovery, thanks to an important message. And to prove that my video also showed up to 100 m high ionization up out of the ground had been 1 case. But Fukushima nuclear weapons of mass destruction is progressing more and more! 02.07.2009. Minulla on varsin pelkistetty kysymys, johon haluaisin arvoisensa vastauksen. Uraani 235 on neutronien ja protonien suhde mm. Pekka Jauhon kirjojen mukaan 1,55. Kun taas haljenneessa uraanissa olevissa kahdessa palladiumissa neutronien N/Z kerroin on enää 1,3. Näin halkeaminen tuottaa n. 23kpl ylimääräistä neutronia. Sent: Friday, July 03, 2009 2:24 PM Subject: Re: Spallaatioteoriakysymys. *Tällaisen edessä täytyy sanoa, etten EDES hämmästy! Niinä 3 vuosikymmeninä, jotka olen kvanttiydinfysiikan sisäpiiriläisenä oppimiseen viettänyt tällainen reaktio oli suorastaan odotetavissa. Ydinala kun on aina ollut niin täynnä salattuja kupruja, ettei siinä sivussa tällaisen kivijalan murtuminen tuuleen ole uutta. Miten i h m e e s s ä joku tällainen 900% virhehuijauksen on maailman kvanttiydinfysiikan parhaimmistoprofessuurit kyennyt ohittamaan tuosta vaan 60v<? Yeah, actually, I was just in the evening at 18:00, and on this day 25.03.2012 to meet again in Japan on the TV staff. Had indeed come to Finland. How to be a little were obviously familiar with the A Fukushima theorema my video, or something like this. But the one everyone wanted to meet our country's best-known quantum nuclear physics expert professional Eurajoen church in the village. Well, the interview was working just fine. NHK was, therefore, the Japanese head of TV detectives interviewed the van. Just fairly young crowd, three men and a woman. Which could otherwise quite well to my surprise, not only in Finland. So well had tuned my style when I started the free multiplication with the Olkiluoto tektoniikoista. Methane gas clathrate in the explosion at Olkiluoto. Radiation TVO's chimneys of coal-black fly in the boiling linuista. Oh, and of course, the US agents in Swiss accounts rejected by the silence of the money to go in. Correctly were satisfied with the way I put things. Just as is, and I have seen all of them. Joo tosiaan olin juuri illalla kello 18:00 ja tänä päivänä 25.03.2012 tapaamassa jälleen Japanin TV:n henkilöstöä. Olivat tosiaan tulleet Suomeen. Kuinka ollakaan olivat ilmeisesti tutustuneet A Fukushima theorema videooni, tai jotain tällaista. Mutta yhtä kaikki halusivat tavata maamme tunnetuimman kvanttiydinfysiikan ammattiosaajan Eurajoen kirkonkylässä. No haastattelu toimi ihan hyvin. NHK oli siis Japanin pää TV:n porukat haastattelemassa pakettiautossa. Ihan nuorehkoa porukkaa, kolme miestä ja nainen. Joka osasi muuten ihan hyvin suomeakin yllätyksekseni. Eli hyvin olivat kuulolla kun aloin vapaatyyliini kertoilla Olkiluodon tektoniikoista. Metaani kaasu klatraatti räjähdyksineen Olkiluodolla. Säteilystä TVO:n savupiipuissa lennosta hiilen mustiksi kiehuneista linuista. Niin ja tietysti USA:n agenttien Sveitsin tileilleen hylkäämiäni vaikenemisrahojakaan unohtamatta. Oikein olivat tyytyväisiä tapaani esittää asiat. Juuri kuten on ja olen i t s e ne kaikki nähnyt. > * It is indeed so that when the plasma radiation, the pressure is formed, so that the gas pressure because there are so few around (EE Lähteenkorva specified by the vital intermediary electron-containing air molecules / cm 3.) So technically it is a vacuum! Well noticed brings ..
> This is what interests me, therefore, that the plasma has the vacuum features! * Had the CIA / SUPO teeth and illegally made redundant within 2h. Because his works dealt with chemitrail projects related to the secret, for example, Vaisala available climate reports. Guy seems to be held secret data, such as the most recent Bolzmann- videostani you notice. That radiation pressure generated by the vacuum is otherwise LARGE encrypted mystery. I thought myself that the world's hottest point could be found in black hole. When I was looking out the background for my video. But what yet! While opening a vacuum cleaner material at point than which. The black hole's temperature is the most complete VACUUM what is known! .. This is only possible when opening flung radiation pressure. Hawk virtual radiation from the drive ALL transmit energy electrons off. This finding is in my view, stunning. You know, I always wondered why the glowing hot uranium capsules under water TVO Rh-eye appears to be in the hall. Not supposed white-hot, but unbelievably super black! The only inside the energy out of feeding the visible phenomenon is TSHERENKOVIN veil flocking to convey the energy of electrons. > * On kyllä niin, että KUN plasmaa säteilyn vastapaineesta muodostuu, niin tämän kaasun paineen takia ympärillä ON niin vähän (E.E. Lähteenkorvan mainitsemia elintärkeitä, välittäjä elektroneja sisältäviä ilmamolekyylejä/ cm3.) Että teknisesti kyse ON tyhjiöstä! Hyvin huomattu tuokin..
> Tämä minua kiinnostaisi siis että Plasmalla on Tyhjiön ominaisuudet! * Joutui CIA/ SUPO hampaisiin ja laittomasti irtisanotuksi 2h sisällä. Koska töissään käsitteli chemitrail hankkeisiin liittyviä salaisia esimerkiksi Vaisalassa saatavia ilmaston raportteja. Kaverilla näyttää olevan hallussa salaista dataa, kuten uusimmasta Bolzmann- videostani huomaat. Tuo säteilypaineen synnyttämä tyhjiö on muuten SUURI salattu mysteeri. Luulin itsekin, että maailman kuumin piste löytyisi Mustasta aukosta. Kun etsin asian taustaa videotani varten. Mutta mitä vielä! Vaikka aukko imuroi ainetta pisteeseensä kuin mikäkin. Mustan aukon lämpötila on täydellisin TYHJIÖ mitä tunnetaan!.. Tämä on mahdollista VAIN kun aukosta sinkoavat säteilyn paineet. Hawkinin virtuaalisäteilystä lähtien ajaa KAIKKI energiaa välittävät elektronit pois. Havainto on mielestäni mykistävä. Tiedätkö, olen AINA ihmetellyt, miksi hehkuvan kuumat uraani kapselit veden alla TVO Rh-hallissa silmiin näyttäytyy. Ei oletetun valkohehkuisina, vaan käsittämättömän super mustina! Ainoa sisältä energiaa ulos syöttävä näkyvä ilmiö on TSHERENKOVIN hunnun parveilevat energiaa välittävät elektronit. "The mysterious fireball had appeared in a uniquely appropriate place. Midland happened to be the home of one of America's most well-equipped materials analysis facilities: the laboratories of Dow Chemical company, well known for its metallurgical expertise and a world leader in magnesium technology. Shortly after World War I, Dow metallurgists had developed an alloy that the company called "Dowmetal" -- refined magnesium to which was added about six percent aluminum and one-half percent manganese. Dowmetal was widely promoted for automotive and aviation uses and was highly profitable for the company, eventually giving it a virtual monopoly on magnesium production in the US." This below-mentioned patent texts and formulas may be of interest to you, too, the inventor has already been murdered, perhaps he came up with something that liked to hide, such as under-mass hydrogen, and the plasma it formed. Tämän alla mainitun patentin tekstit ja laskukaavat saattaa sinuakin kiinnostaa, keksijä on jo murhattu, ehkäpä hän keksi jotakin mikä piti salata, kuten esimerkiksi ali massainen vety, ja siitä muodostuva plasma.